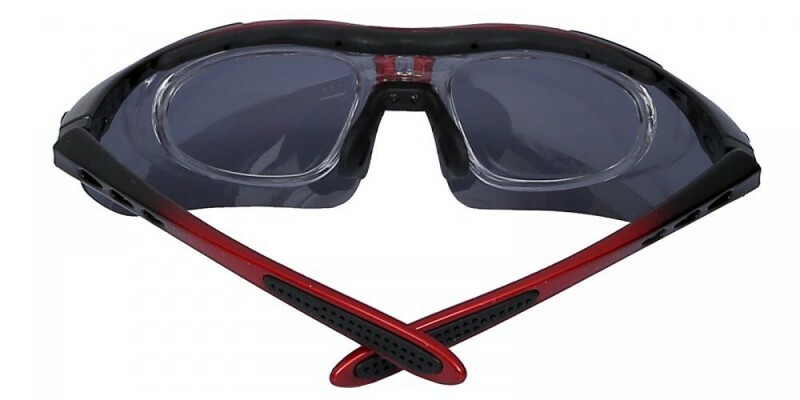 Geoffrey Rectangle sport goggles goggle specially designed for Golf, Fishing and Cycling, featuring prescription lenses just behind protective, polarized shades. 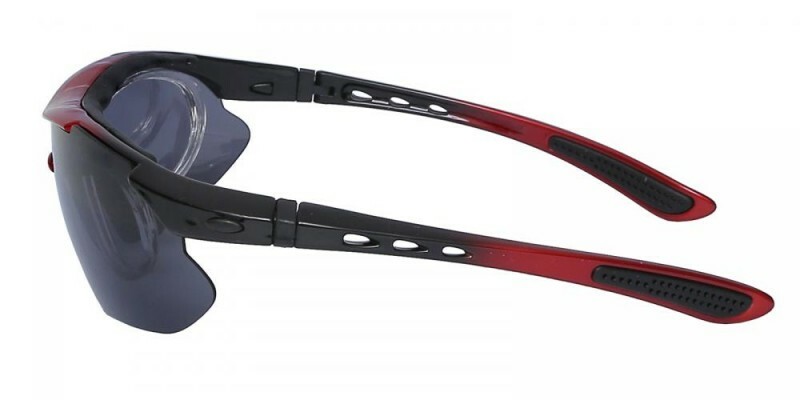 This goggle has five pieces of matched polarized shades, one flexible strap and one rope which allow you to enjoy your sports freely. 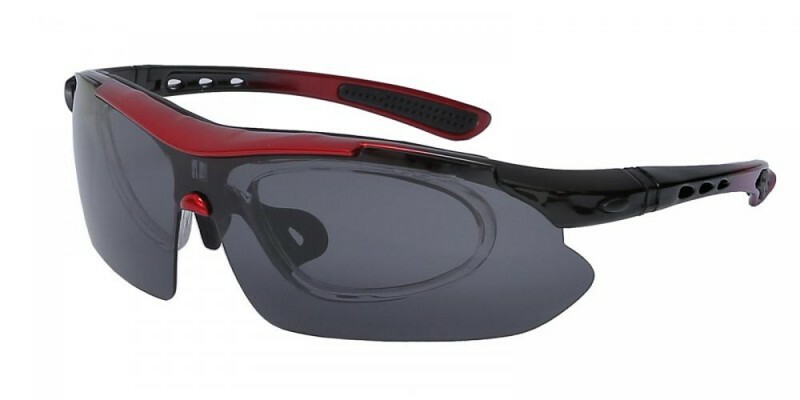 The polarized lens give superior visual acuity and protection and the ergonomically wrapped frames made of TR90 material for superior strength, memory and lightweight comfort. Blue, Red and Gunmetal three colors can be chose. 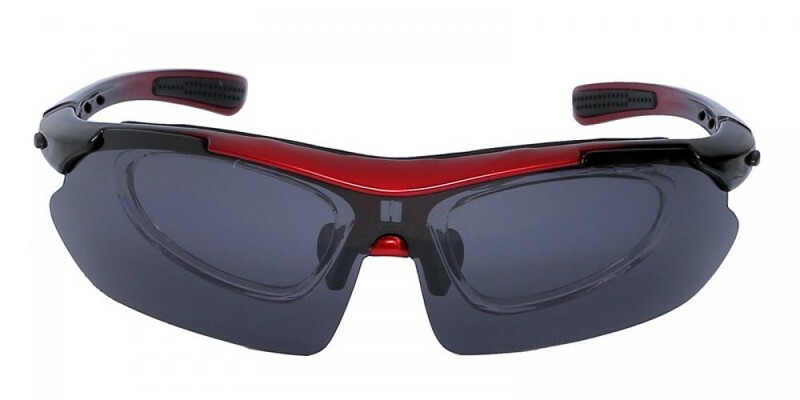 do not buy these if you need to wear with prescription. does not work at all. lenses are too curved which makes this impossible to use. very disappointed that they could sell such bad product. bought these with prescription along with another pair of sunglasses and this one does not work at all. the prescription is not the problem since the other pair of sunglasses have the same prescription and it worked perfectly, but this one is not good because the small transparent frame that holds the lenses with prescription is too bended and it makes it impossible to wear this without having extremely blurried vision and a feeling like looking into a fish bowl. very disapointed to waste money on this product since it doesnt even work. do not buy these if you need it with prescription.